There’s really no reason to argue the point, anymore. We’ve obviously lost. Humans are no longer at the top of the chain. We do not have the control that we believed we had. It’s true: Cats have absolutely taken over. They’re everywhere. They’ve virtually conquered the Internet and can be seen roaming the streets and filling people’s homes at dangerously increasing rates. “Cat ladies” used to be a character we’d see on late night sketch comedy shows, but now they have become an aspiration. Childhood surveys asking kiddos what they want to be when they grow up now reveal “Cat Lady” has risen above President of the United States and are nearly double the number of doctors and police officers combined. This is no longer a world where the debate of dog versus cats can even take place. The cats will hack the Internet dialogue and the polls will be overrun. There are very few options that we have left. When one invasive species comes to populate and dominate a region, all that can be done is to bring in an even greater species that can try to quell the population down. Unfortunately, cats just don’t seem to care! Their strong independence leaves them with the power to simply shrug and paw away with little more than a hiss. So, in order to save the rest of society, we have no choice but to bring in the big paws. If nothing else, the cats will listen to a bigger cat! 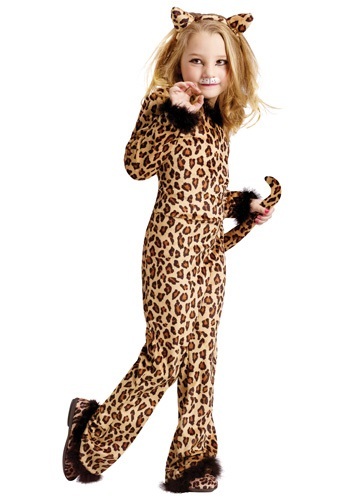 My daughter loves this little leopard costume. It looks better than all the girlie ones with skirts. Much better for an active child!